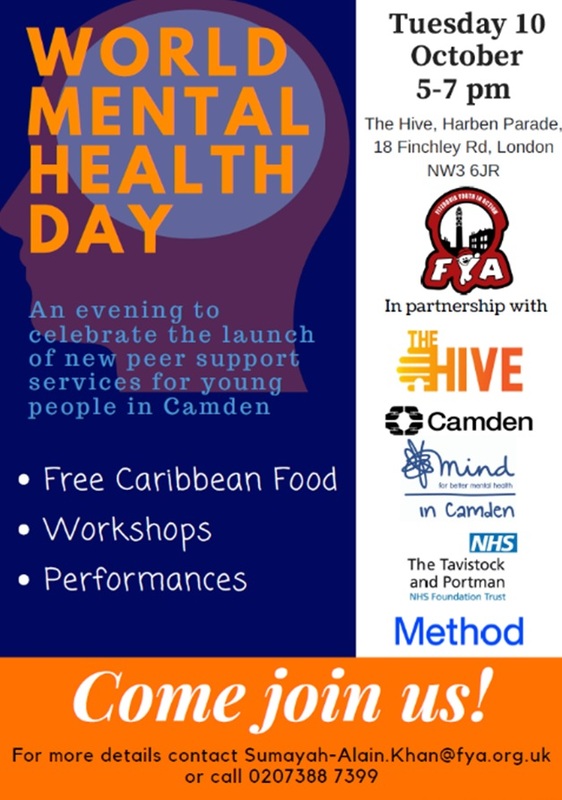 Fitzrovia Youth in Action (FYA), Mind in Camden and the Tavistock and Portman NHS Trust have formed a partnership to co-produce peer mentoring initiatives with a range of schools and youth clubs in Camden. The programme will train young people as mentors to offer time-limited peer mentoring relationships to children and young people who are at least two years younger. Peer mentors will support mentees help themselves to do life-enhancing things, such as improve their problem-solving skills, reduce isolation and increase their self-confidence. Peer mentors will also benefit from increased skills in team work, communication and leadership. By the end of the first year, we aim to have worked with 8 schools or youth clubs, trained 80 peer mentors, and engaged 160 mentees over 480 sessions. We will be co-producing the training and service with young people, so that it is geared towards their needs, and is youth-led, flexible, fun and safe for all young people involved. Method, a design consultancy, will be working on the project to ensure that young people’s voices are incorporated at all stages and influence the design and delivery of the work. Our launch event is on Tuesday 10th October, from 17.00-19.00. All are welcome. There will be free food, workshops and performances. Please contact Sumayah-Alain to find out more. If you, your school or youth club is interested in getting involved in the project, please contact Andre Schott.